* Add a regal accessory to your store's jewelry display with Mariell's vintage wedding brooch. * This timeless design features a bevy of soft creme pearls and crystals gracefully set within a antique floral swirl. * This brooch is offered at a great wholesale price! 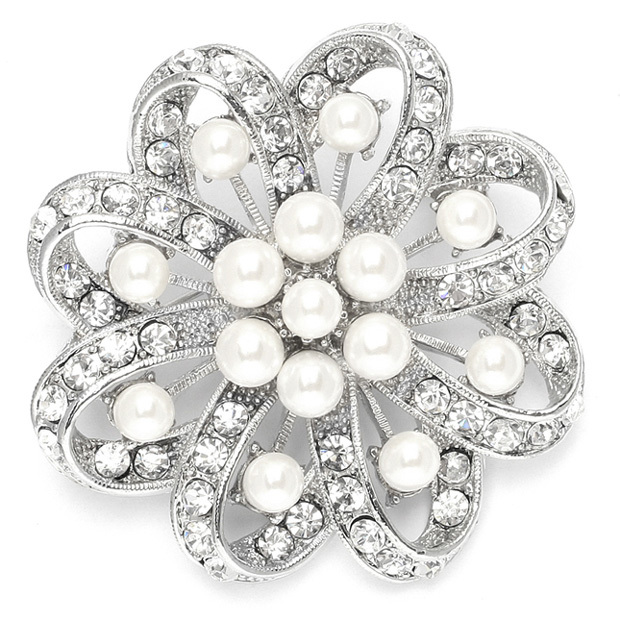 * Mariell's regal 2" round wedding brooch has soft cream pearls & crystals artfully set in a vintage floral swirl. * This antique plated brooch can be worn on a gown, bridal sash, faux fur wrap or as a hair acceessory using our comb adapter (sold separately).